DEVELOPMENT LAND FOR SALE. 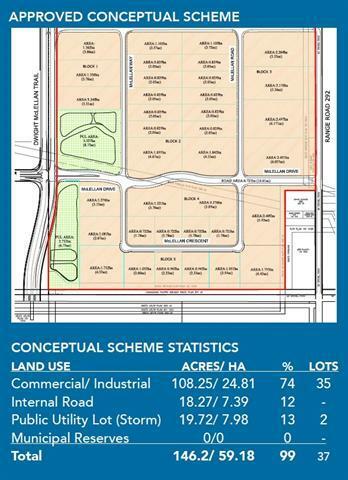 "McClellan Business Park" Lands is a 146.2 acre parcel, zoned DC-99 that is currently moving into subdivision and partial zoning amendment to accommodate cannabis uses. 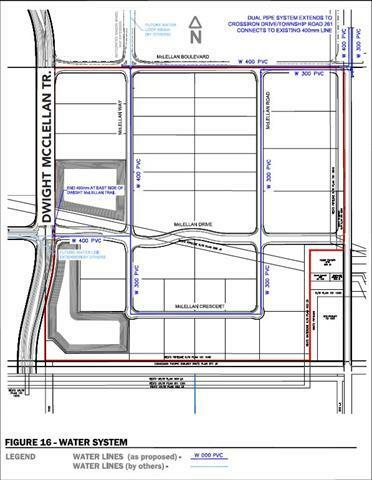 This parcel is a City of Calgary/Rockyview County border property in the East Balzac Area Structure Plan, bordered by, and with direct access to Dwight McClellan Trail. Conceptual Scheme and land use approved (Dec 2016). 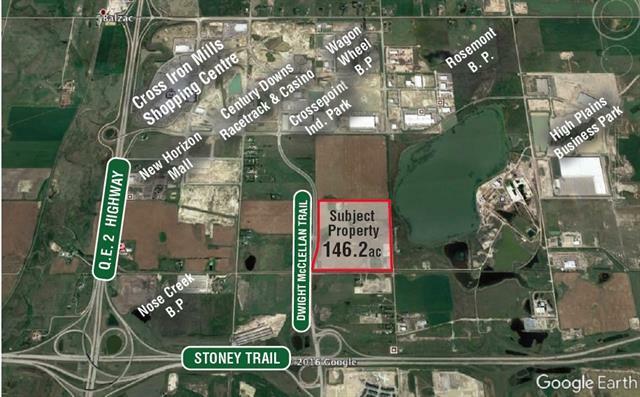 Seconds away from all direction access to Stoney Trail. 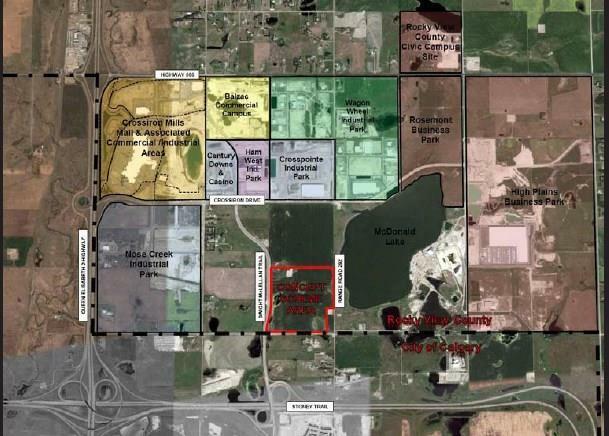 Proximate to Cross Iron Mills Mall and New Amazon facility. All services are proximate to property. Preliminary development and engineering cost reports are available. Minutes away from the Calgary Airport, QEII, and 556 for unparalleled access. Please call the lister for more information and property brochure.